One of the best moments in climbing on the Himalayan is when you reach the summit of an 8000-meter, or lesser peak only hear a Sherpa screaming into his radio “Summmmmiiiitttt” with the energy of a World Cup Football announcer. You almost can’t help but smile. This scene is being repeated on Manaslu and Cho Oyu this week with summits being reported on both 8000ers. The rope team from Seven Summits Treks made the summit on September 25, 2018. They were Gyaljen Sherpa of Solukhumbu, Mingma Tenjing Sherpa, Tenjing Chhimbi Sherpa and Temba Bhote of Sankhuwasabha. Tagging behind them were Brazilian Moeses Fiamoncini and Spainish Sergi Mingote who said he was climbing with no Os, alpine style. He summited Broad Peak and K2 a few months ago and is off to Dhaulagiri now. On September 216, Arnold Coster, part of the 7ST gang posted “Good News! All Arnold Coster Manaslu team members and Sherpas summited Manaslu today around 6:15 am.” Its reported that 12 people summited – 6 Sherpas and 6 members. 7ST posted today, 27 September that their “international” team summited – no word on how many that was but they regularly have 20,30,40 or even 50 climbers plus the same number of support Sherpas. 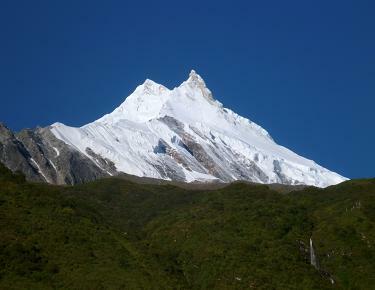 Manaslu update:Benjamin from usa, simond from uk with suman, anup and prakash made summit at 12:30pm. Benjamin also skied from below the summit. Remaining team member will depart tonight for final summit push. 79-year-old Spanish climber Carlos Soria Fontan reported that they are at C1 hoping to spend a few nights at C2. He seems hopeful he will make the summit, now that this is his 10th and last effort. Billi Bierling has a very nice write up posted a few days ago on her Dhaulagiri experience and the tragic death of a Sherpa fixing rope. She is with Kobler. Polski Himalaizm Zimowy 2016-2020 im. Artura Hajzera reported a small earthquake but no damage.